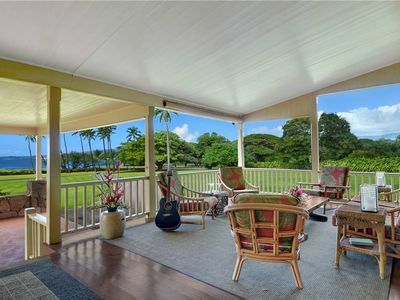 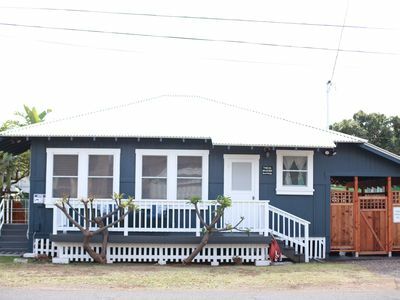 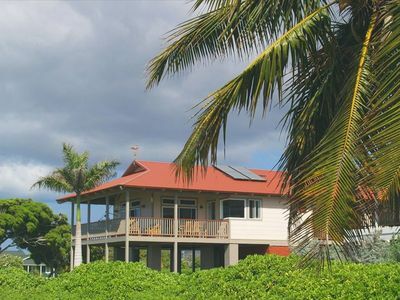 Kai Nalu , which means 'Ocean Wave' in Hawaiian, is a beautiful home right on the beach in Waimea, between the river and the historic Waimea Pier. 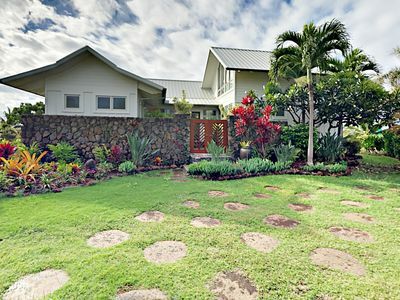 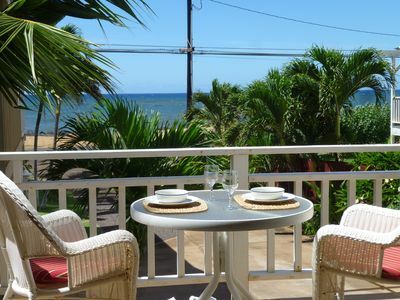 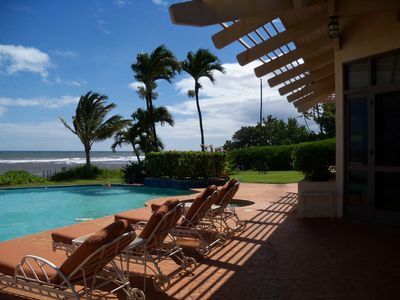 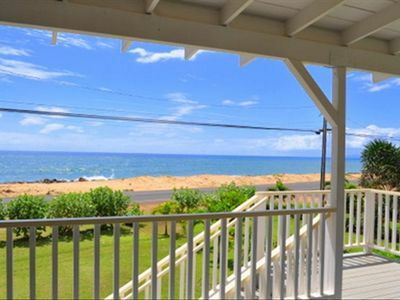 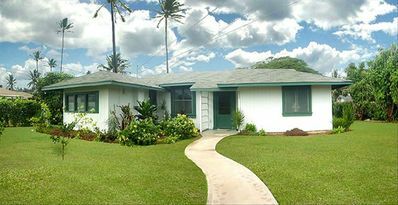 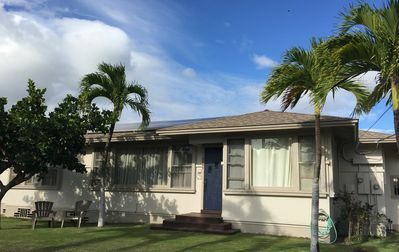 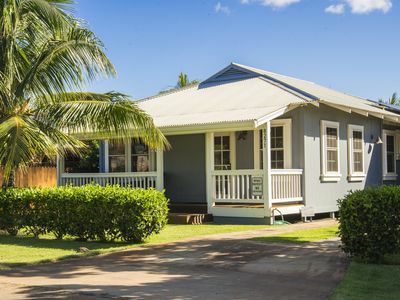 Located on the sunny West side of Kauai, this spacious and beautifully furnished air-conditioned home provides a perfect setting for your holiday in paradise. 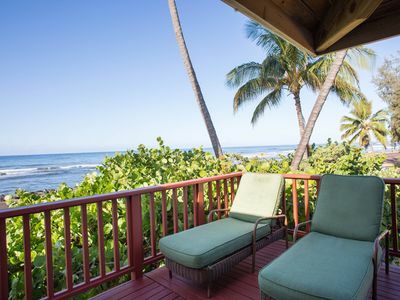 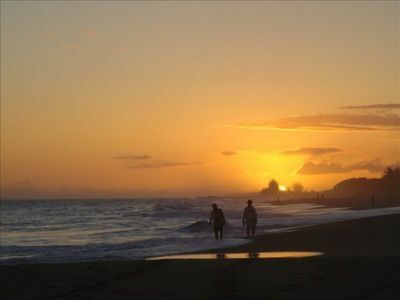 Enjoy spectacular ocean views (enhanced by a fabulous view of Ni'ihau -- the Forbidden Island) and watch the sun set into the sea every evening from a nearly endless stretch of charcoal sand beach. 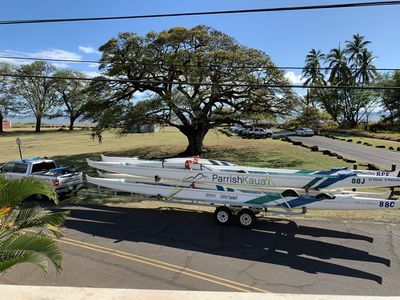 Kayak from your back yard and enjoy the annual migration of the giant humpback whales (from late November 'til April). 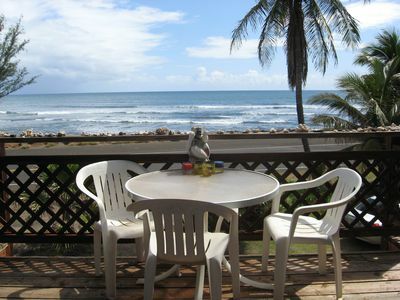 Take a stroll down the beach at your leisure and if you happen to see green sparkles in the sand here, they are mineral crystals called olivine. 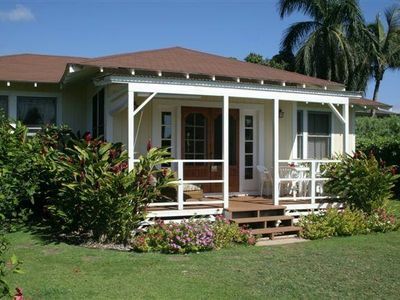 Gem-quality olivine is known as peridot, the birthstone for August. 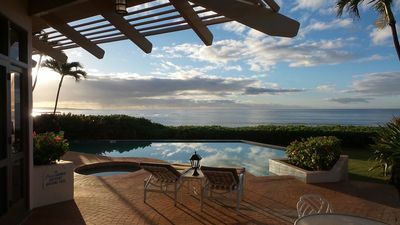 Two expansive lanais overlook views of Ni'ihau sunsets and are a great place from which to enjoy a morning cup of coffee or cool beverage along with the fabulous vista. 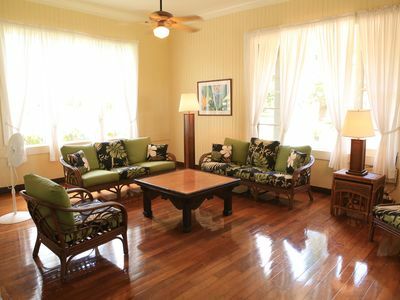 The living room is bright and comfortable with wonderful ocean views. 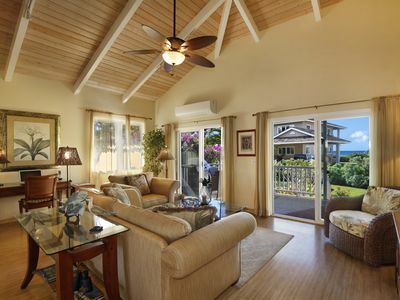 The huge master bedroom suite has a sitting area and equally fabulous views. 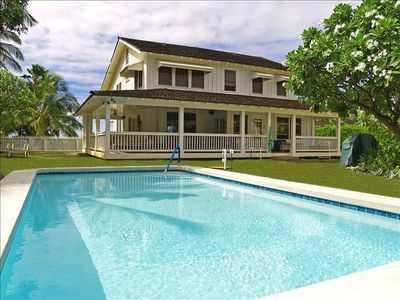 The master bath has marble floors, an over sized glass block shower and jacuzzi tub with an ocean view. 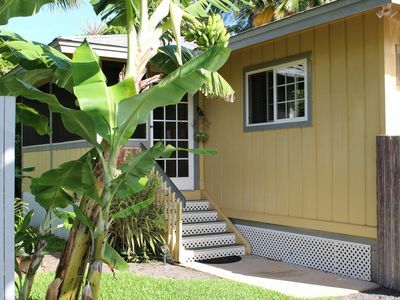 The gourmet kitchen has a gas island cook top, tile counters and all appliances.